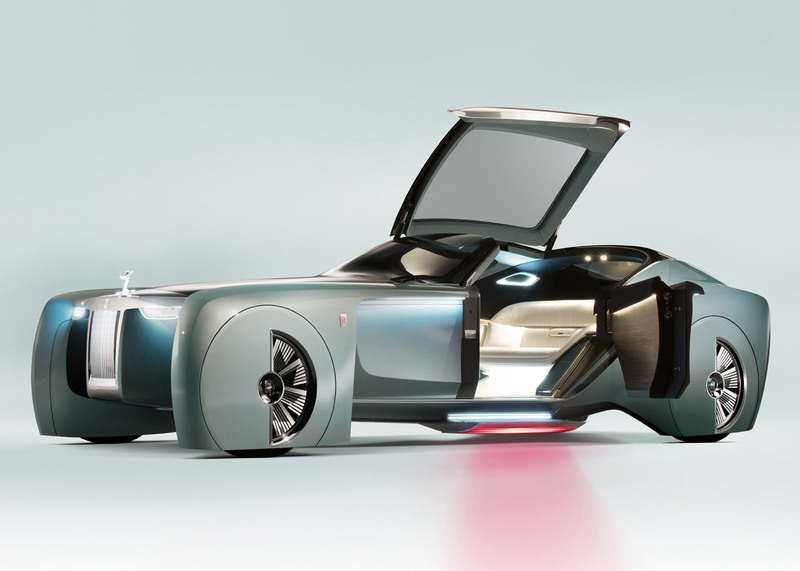 Car brand Rolls-Royce has designed its first ever concept car, billed as a vision for a future of driverless luxury vehicles with a built-in “red carpet” and lighting system that announces its arrival to bystanders. 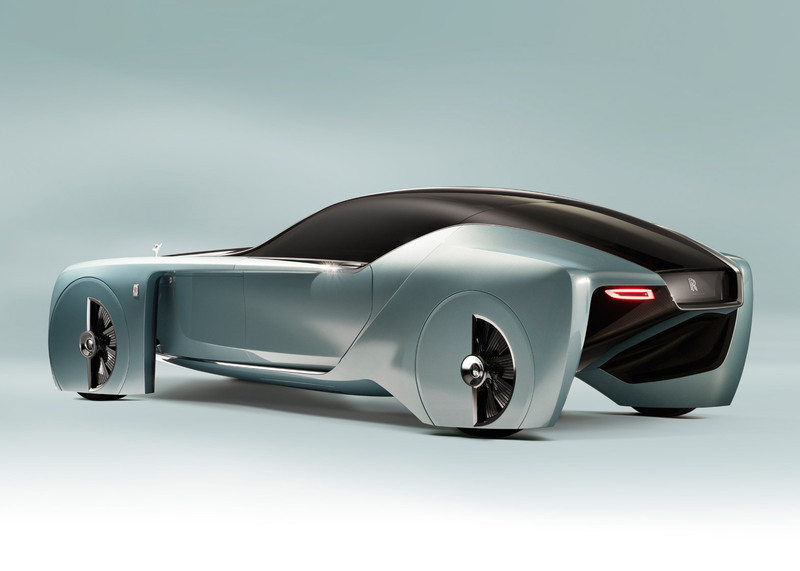 Called the Rolls-Royce Vision Next 100, the design aims to “anticipate the mobility demands of the luxury customer of the future”. 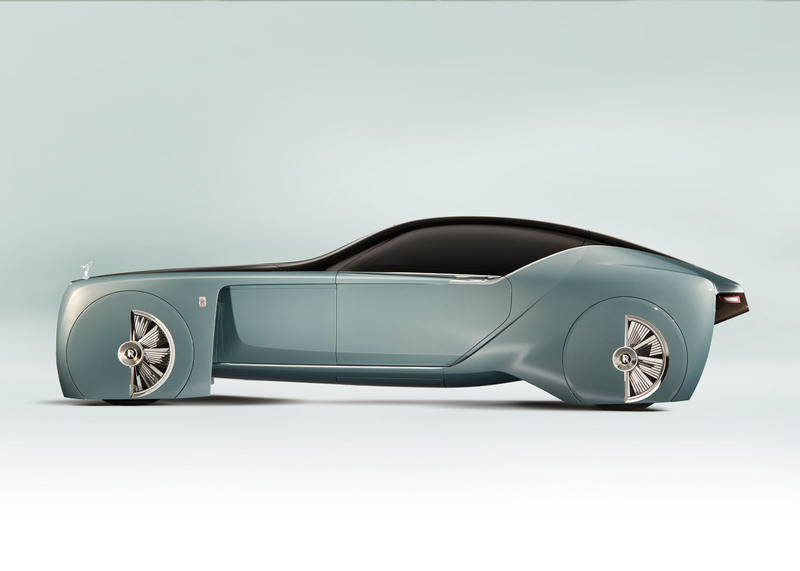 Unveiled at London’s Roundhouse venue, the concept car includes a roof that glides open with a hinged design based on a clamshell. 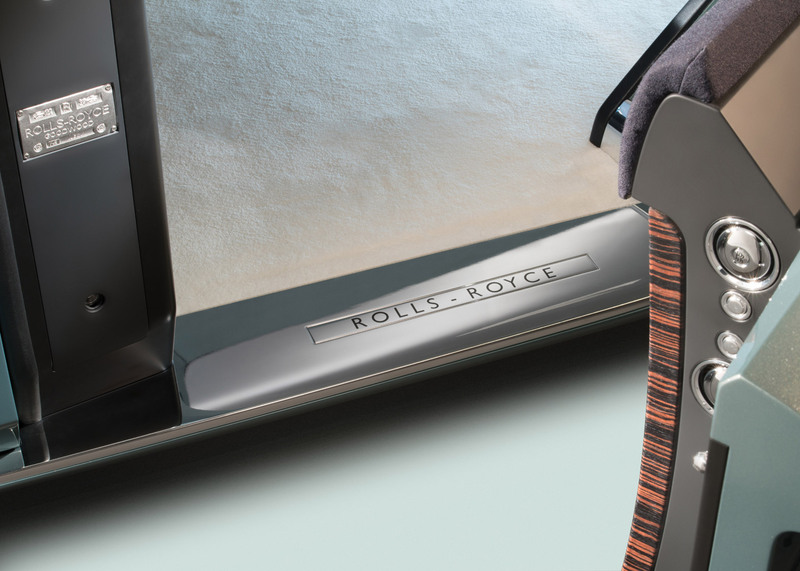 This would allow riders to step into the interior without having to bend over. 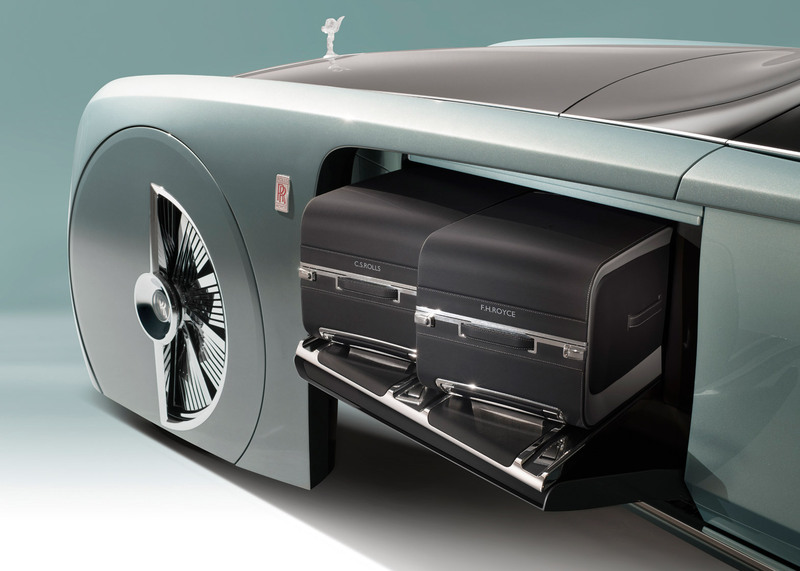 The roof and door would then close automatically. 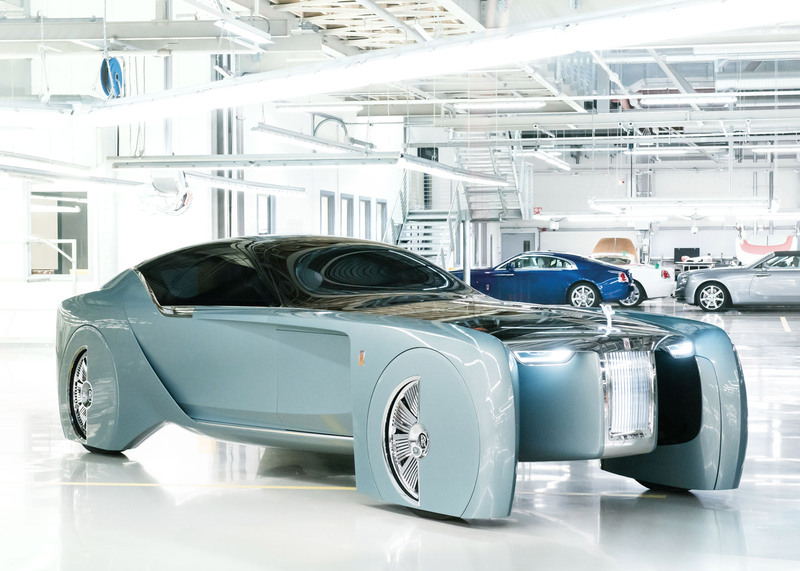 Many of the signature forms of a Rolls-Royce have been updated in the design for the body of the car. 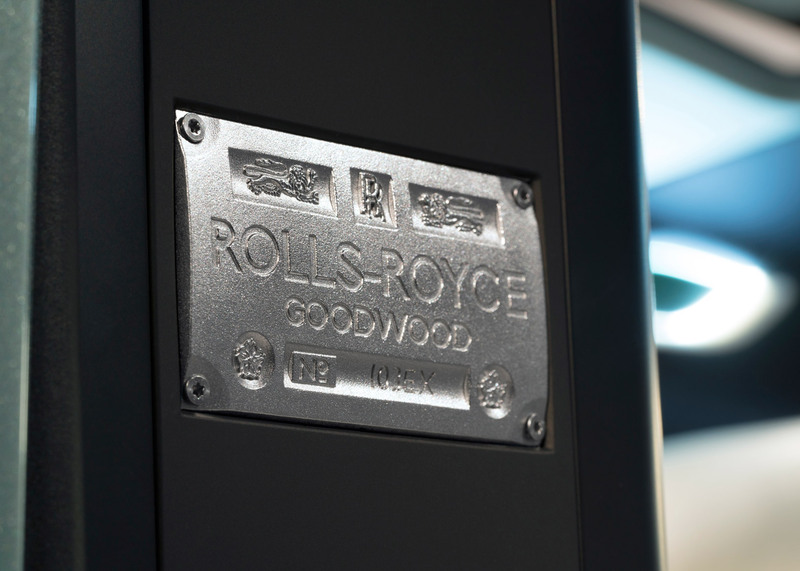 The brand’s classic Pantheon grille has been kept and reimagined as a smaller but more prominent frontage for the vehicle. 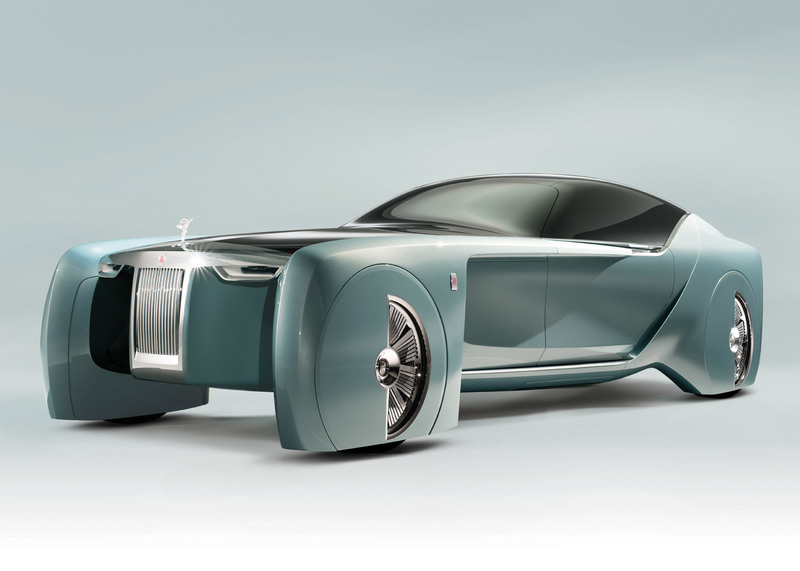 The designers imagined a Rolls-Royce that could be designed around less mechanical hardware, replacing the majority of the engine space with a luggage compartment. 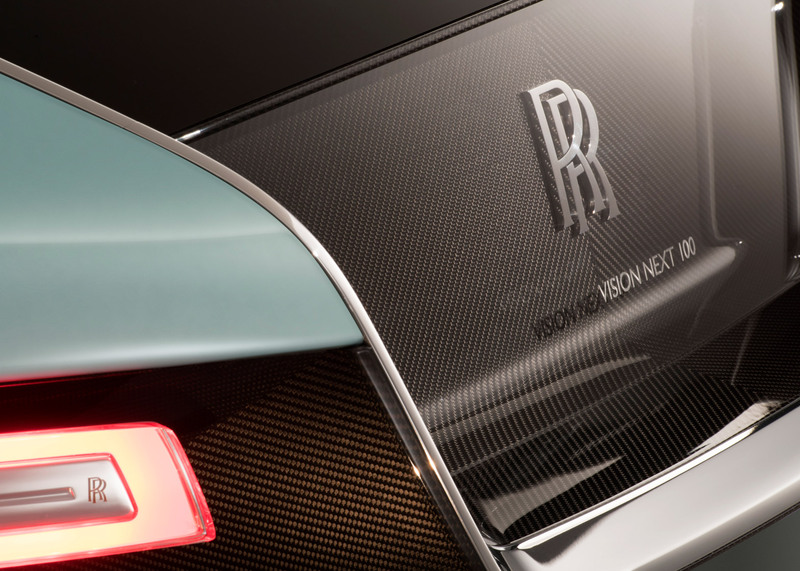 This also allowed them to make the car narrower, and create a sport-style rear and curved cabin roof, made from black glass. 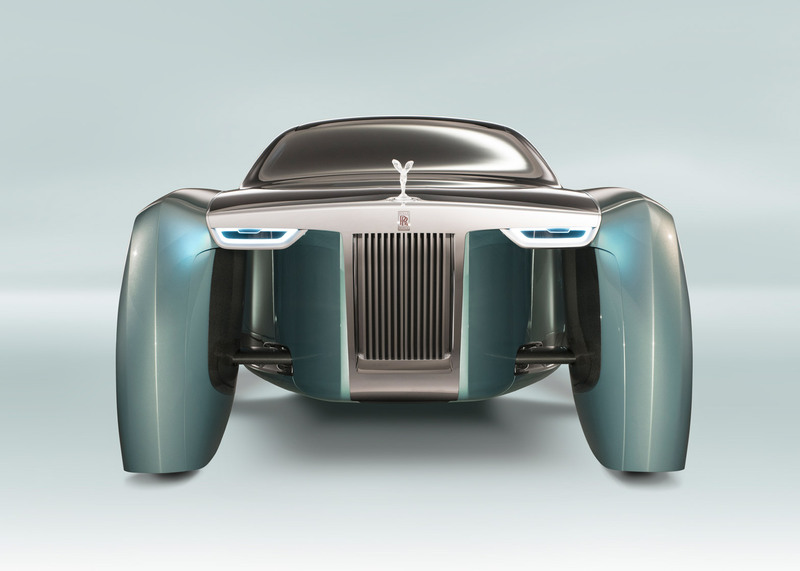 The wheels are housed in individual cases, with exposed arms and struts that connect to the chassis and also support the hull-shaped body at the front. 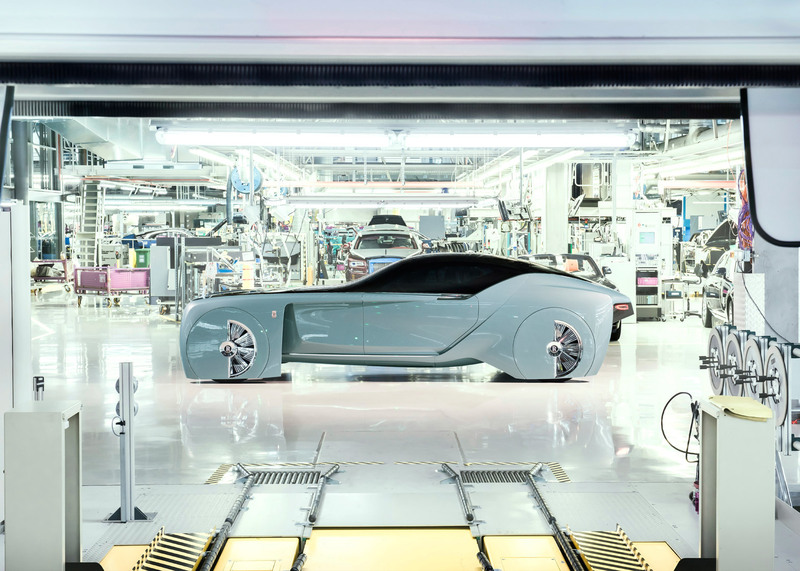 “The 28-inch tall but narrow wheels upon which the car glides are each hand-built from 65 individual pieces of aluminium, and enclosed to deliver the impression of a futuristic catamaran,” said Rolls-Royce. 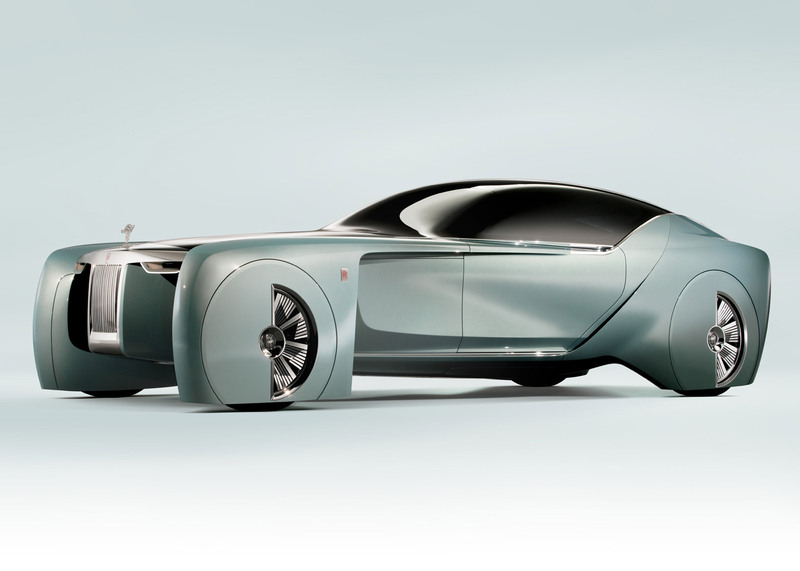 “From whatever angle the Rolls-Royce Vision Next 100 is viewed, it seems to float, whether at rest or in motion. 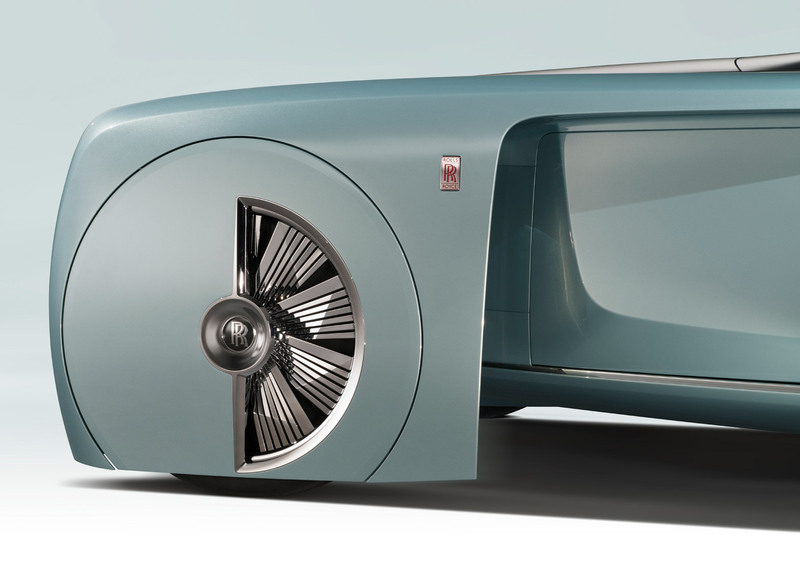 This lightness is achieved through the paring back of this vehicle to the essence of a Rolls-Royce by the design team, who were freed from their current constraints by the new propulsion and coach-build technologies now available to them.” The brand’s signature radiator mascot – a figure of a woman leaning into the wind with fabric blowing around her – has been recreated in crystal and is illuminated from inside. 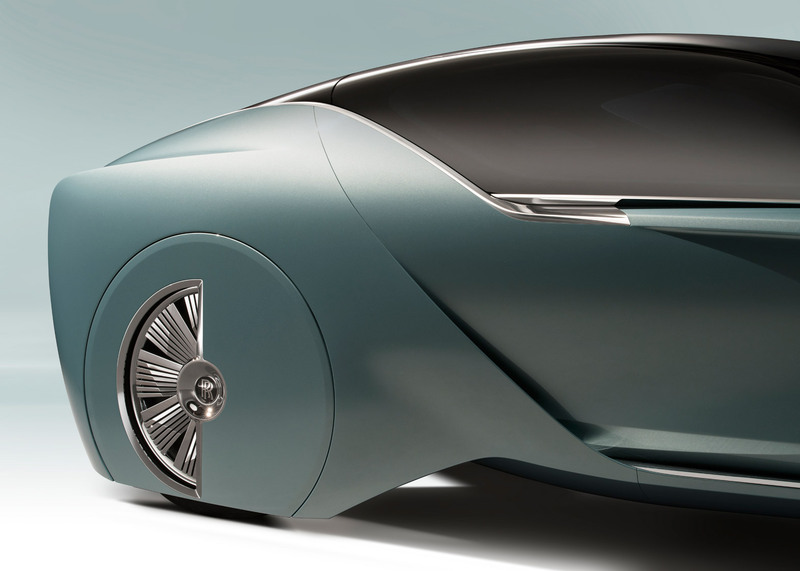 This light spreads across the car as it arrives at its destination, and a step appears from the side of the car once the roof has opened. A red light is then projected to create a red-carpet style arrival. 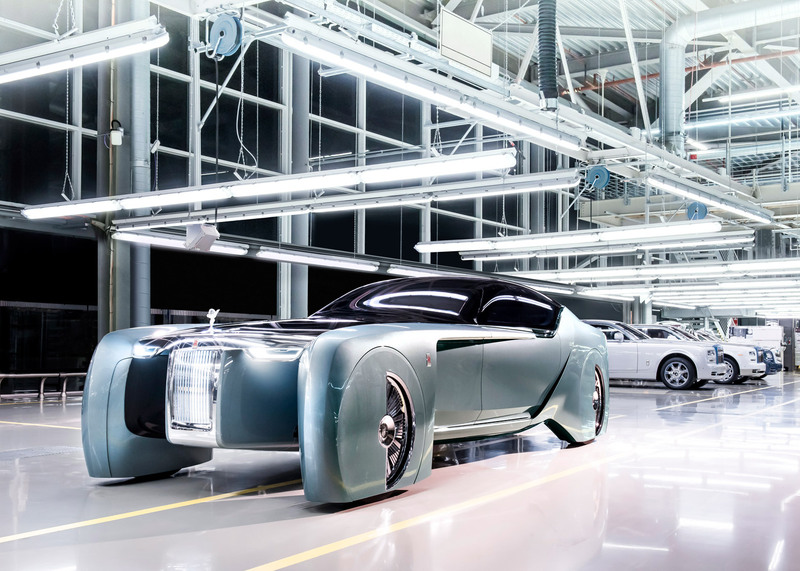 “The Grand Arrival gesture of the Rolls-Royce Vision Next 100 creates a stage for our important passengers as they arrive at their ultimate destination,” said Giles Taylor, director of design at Rolls-Royce. 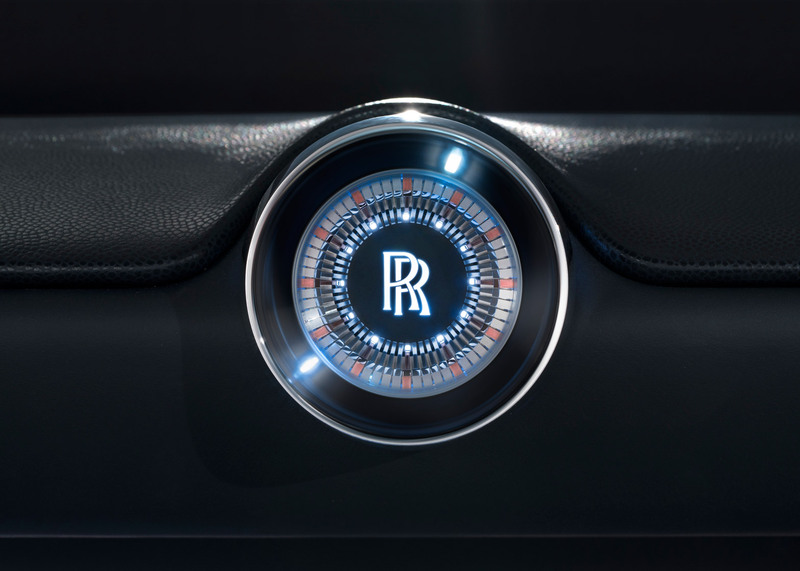 “It is an expression of our intrinsic understanding of the possibilities for a true luxury brand and the desires of its customers.” Rolls-Royce said it wanted to recreate the experience of grand horse-drawn carriages, with the coachman replaced by an artificial-intelligence system. 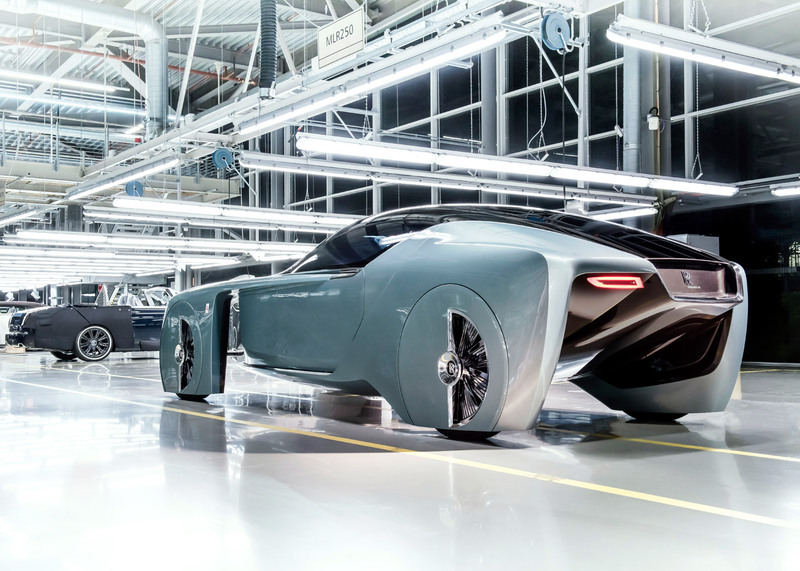 The company has named this “virtual assistant” Eleanor, and said that it could offer owners advice on how to prepare for meetings and important events as well as driving the car. 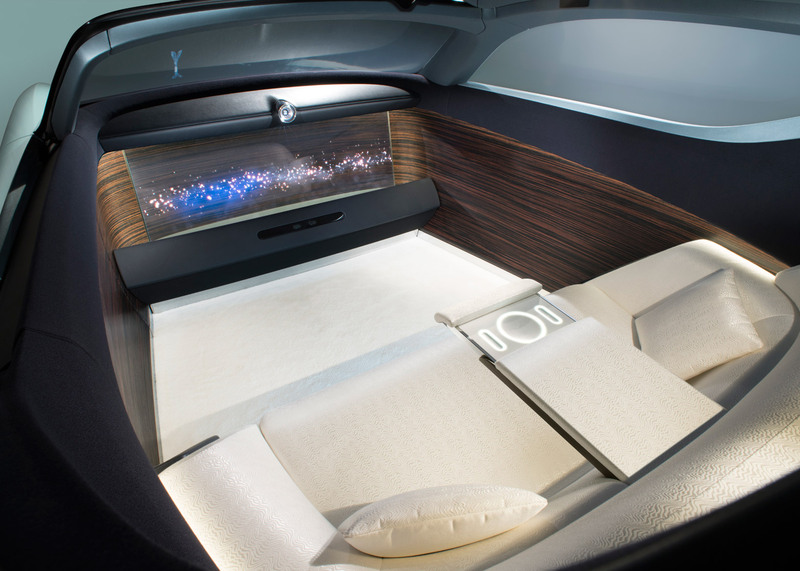 It could also help select movies and music for the car’s entertainment system. 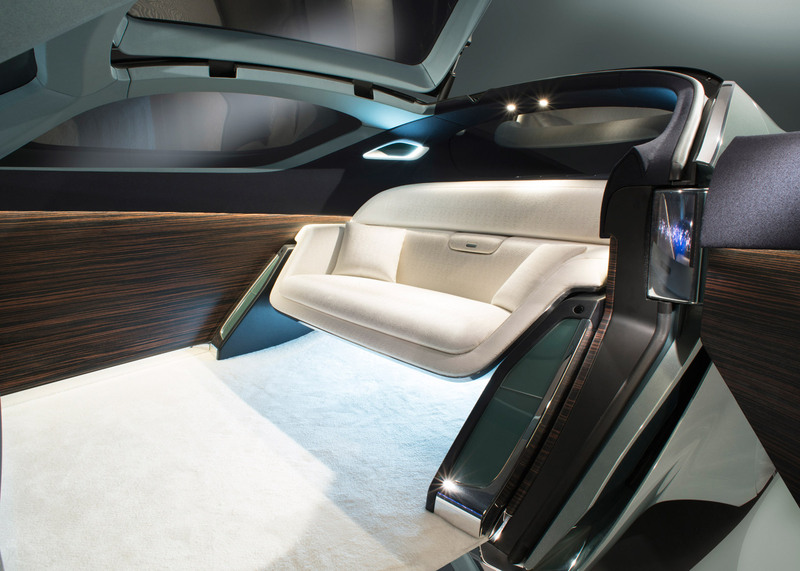 Inside, the car has no driving area. 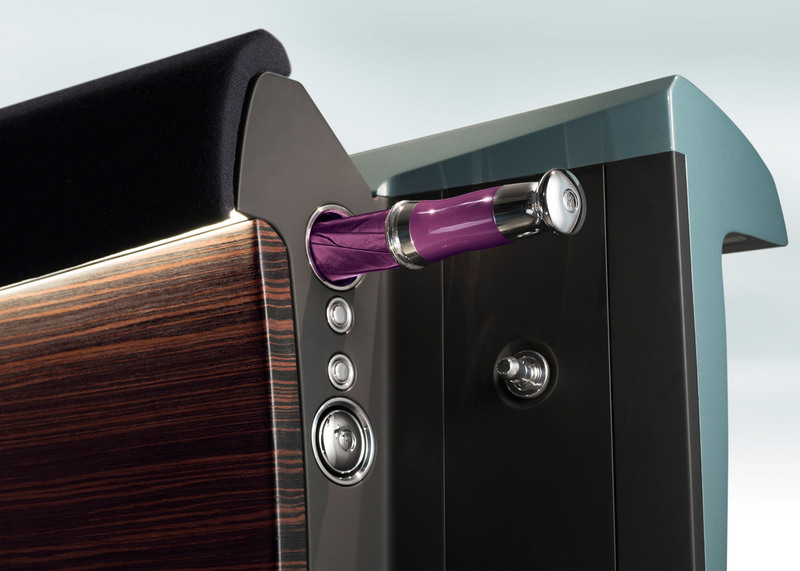 Instead, the interior resembles a lounge, with wooden panelling, a deep-pile carpet and a wool-and-silk-upholstered sofa facing a full-width OLED screen that functions as an entertainment and work station. 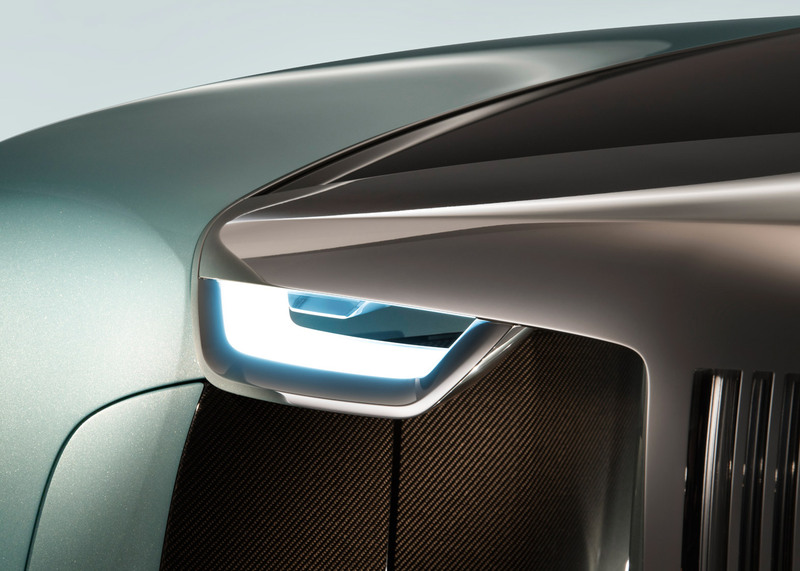 All of the features could be customised for each owner, using interactive design tools that would allow them to give their input before the car is built. 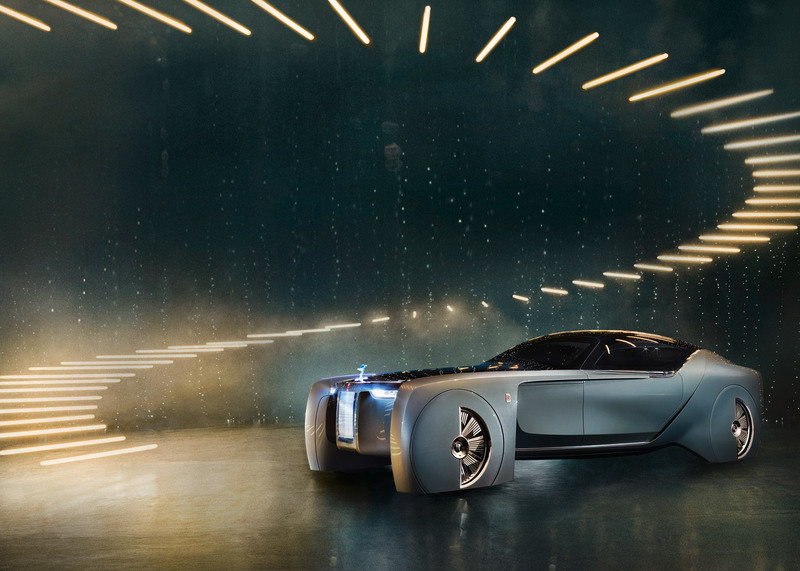 Rolls-Royce imagines the car would be powered by a zero-emission drivetrain and use “advanced suspension” to create the sensation of the car skimming the surface of the road like a “magic carpet”. 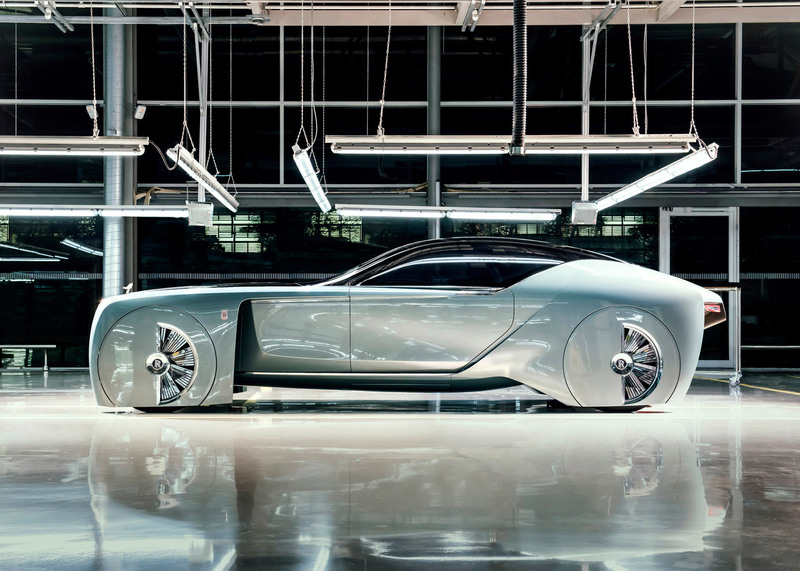 And also we would recommend you to check more concept cars.